Many people believe that it is extremely difficult to get accommodations for a diagnosed disability on standardized testing. In actuality, it is easier now than in years past. Congress passed the updated American with Disabilities Amendments Act (ADAAA) in 2008, with a broadened definition of “disability” and a less stringent interpretation of the terminology such as “substantially limits” and “major life activities”. In 2011, the Department of Justice (DOJ) handed down rulings following two denials of specific accommodation requests for the Law School Admissions Test (LSAT). These new regulations opened up options for students with documented disabilities to receive accommodations on standardized (high stakes) testing that will provide the student “equal access” to these tests. Furthermore, mitigating measures, the things that students and families did to help manage or ameliorate the disability (i.e. use tutors, take medications, etc) can no longer be used against them. This means that with the proper documentation, the likelihood of getting the requested accommodations is high. While there are some differences between the College Board and ACT procedures, the basic guidelines are the same. To receive an accommodation, the request must at a minimum address the following three main questions: “what,” “how,” and “why” accommodations are needed to best ensure an accurate demonstration of the students’ abilities. The request must indicate the nature of the specific diagnosed disability, i.e. what the disability is. The diagnosis should be made by a person with appropriate credentials relevant to that disability. For example, a dentist is not likely to be considered appropriate for documentation of a Learning Disability, but would likely be for documentation of Temporomandibular Joint Disorder (TMJ). The diagnosis should be an accepted diagnosis, not just a description of a symptom. For example, test anxiety is not a diagnosis, but may be a symptom of a Generalized Anxiety Disorder or an Obsessive-Compulsive Disorder. How does the disability impact the student and affect their ability to take the standardized test? This is what is referred to as the “functional limitation”, and documentation should describe not only how it impacts their daily functioning, but specifically how it affects their ability to take, or have equal access to, the standardized tests. Not every school-based accommodation is necessary for a standardized test. A student who has an accommodation only for a Physical Education class would be unlikely to get that accommodation for standardized testing, unless how it applies to the student’s ability to access the standardized test can be explained. But if a student’s anxiety disorder causes stomach distress or the need to do some brief relaxation management procedure to manage a panic attack, they may qualify for additional breaks during testing. The accommodation request must document why the accommodation requested is necessary. Depending on the nature of the request and the kind of disability, this documentation might be provided by the student’s physician; from a neuropsychological or psycho-educational evaluation with test results and scores, a comprehensive background history, behavioral observations, and interpretation; from an IEP, 504 or RTI plan; teacher observations or a current treating therapist’s supporting documentation, depending on the disability and the accommodation requested. A child with Tourette’s syndrome might request a quiet room, and would not likely need a comprehensive, updated cognitive evaluation to support this request. If the school has all the required documentation on file that meets the College Board’s criteria, the documentation on file is applicable to the requested accommodation, and the student has received and has been using the requested accommodations in the school for at least four months, the school may be able to submit a school verified application with little or no additional documentation required. Otherwise, a more comprehensive document review many be required by the College Board. While there are a number of excellent resources that provide guidelines for documentation of disability and accommodation requests, including the Association of Higher Education and Disability (AHEAD), the Educational Testing Service (ETS) website, and the US Department of Labor, the best resource for the specific policies and procedures for the College Board tests (PSAT, SAT, AP, CLEP) and for the ACT are found on their websites. While the College Board strongly encourages the use of its online application, which guides the school personnel through the application process as well as documentation required for the requested accommodations, one should pay careful attention to the timelines necessary for this process. The College Board advise that it takes approximately 7 weeks from receipt of the final documents or materials submitted to hear a response. A student applying for accommodations for the PSAT or for the October SAT should submit their request in the spring, before they leave for summer break. The ACT timeline is shorter, but it currently uses a paper application and requires that the student register for a test date in advance of submission, depending on which accommodation is requested. Explicitly state the diagnosis and support and clarify the specific recommendation requested. For example, documentation should request and support either time and a half or double time, not just request extended time. A request for more breaks should specify more frequent versus extended breaks, and why. If you tell the student’s story and paint a picture of the student in a way that is meaningful to the reviewer, you are likely to succeed in your first submission request for accommodations. Dr. Joanne Max is a clinical psychologist with a specialty in clinical neuropsychology, and co-founder of “Your College Direction”. 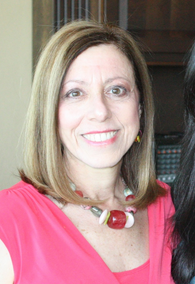 She has been in private practice in the Atlanta area since 1981. During the course of her many years performing diagnostic evaluations and therapy, she discovered, and is thrilled to transition her practice to, her true gift and passion: helping high school students and families navigate the college search, application and selection process to find the best college fit. Dr. Max has had extensive experience evaluating both the traditional and non-traditional learners, assisted with Individualized Education Plans (IEPs) and application for accommodations for academic or standardized testing, including the SAT, ACT, MCAT, GRE, LSAT, GMAT, CPA, Medical Board and State Bar Examinations. She is particularly adept at identifying the nuances and individual needs, learning and personal style of each student. Dr. Max helps the student and family understand how they learn best and assists in identifying colleges where they can maximize their potential and transition successfully to college.